A jury found 16 Samsung smartphones infringed on Apple's design patents. Here are eight notable ones and how much Apple got for each. The Verizon (VZ) version of the Samsung Galaxy S was found to have infringed on Apple's patented front-panel design, according to the jury's ruling on Friday. 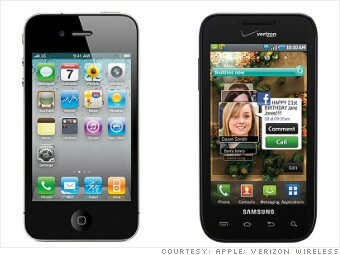 The jury also found that the Galaxy S' app layout violated a patent held by Apple (AAPL). The Fascinate fetched the biggest single reward for Apple of all the Samsung phones in question.